$519.99 Seen a lower price? 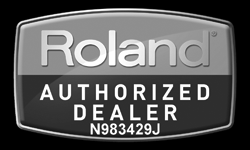 Back in the 1970s, Roland launched the SYSTEM 100, 100M and the now almost mythical SYSTEM 700. These modular and semi-modular synthesizers are heralded to this day for their flexibility and character of sound. Over the years, they've been put to great use by visionary artists on countless classic tracks. Meet the SYSTEM-1, a synthesizer probably unlike any you've encountered before. 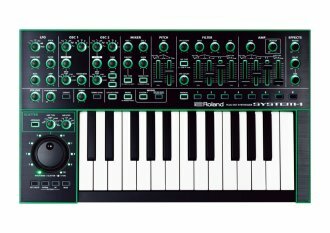 Like its predecessors, the SYSTEM-1 breaks ground with remarkable flexibility and access to a vast palette of synthesized sounds with the bold and unmistakable character associated with Roland synthesizers for nearly four decades. At the heart of the SYSTEM-1's sound is an Analog Circuit Behavior technology (ACB) which they use to carefully analyze every aspect of analog circuits and then faithfully recreate them down to the finest details. This technology fills the SYSTEM-1 with a fusion of beautifully classic and utterly modern synthesizer tones. Sound good? The SYSTEM-1 can control and even host software recreations of classic Roland synthesizers. That's right. The SYSTEM-1 can control plug-in versions of now legendary Roland synths, and those same plugins can be hosted in the SYSTEM-1 itself - with no computer required. You can even switch between the SYSTEM-1's internal sounds and those of the hosted plug-in. Roland calls this wizardry "PLUG-OUT" -- and they're pretty excited about it. And they think you'll be excited too once you experience the supreme authenticity of the upcoming SH-101 softsynth, with the SYSTEM-1 providing an intuitive and fully automatic one-to-one control interface that just works. 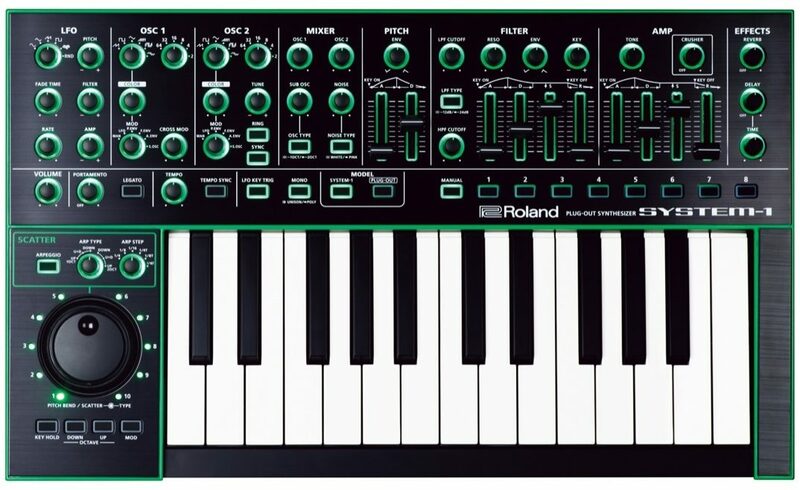 Let's be honest - who could make a better plug-in version of a classic Roland synth than Roland? And the SH-101 is just the beginning. The SYSTEM-1 not only sounds amazing, but it also has a totally innovative design with performance ready controls, quality construction, and a dizzying array of lights and knobs and sliders that proclaim -- unashamedly -- "I am synthesizer. Hear me roar." - You can connect the SYSTEM-1 to your computer via its USB jack to send and receive Audio and MIDI data. - The SYSTEM-1 can receive MIDI clock information to sync with external devices including other AIRA series units. - The SYSTEM-1 is designed to work seamlessly and look great with other products in the AIRA series. - - Accessories: Owner's manual, AC adaptor, Leaflet "USING THE UNIT SAFELY"
Available until 11 PM (EST) today. Mention special code 1ZZ-6FTF when you call.